I believe the single most interesting challenge and opportunity for design as a practice and function is to figure out how to operate at scale. 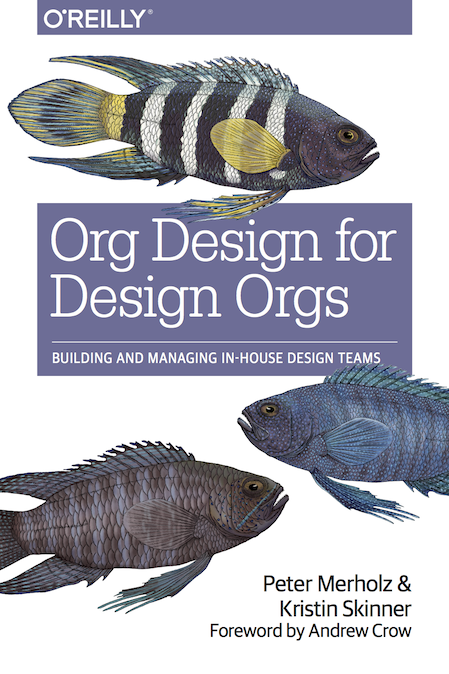 Upon reflection, our book was essentially about setting up your organization to deliver design at scale. Much of “design at scale” discussion is dominated by design systems (most of which are just code-enabled style guides), because it’s an easy thing to talk about and feeds into the corporate desire for increased productivity. However, starting with systems runs exactly contrary to the true value that design brings to companies, which is a humanistic and creative problem-framing and problem-solving approach. In other words, the focus on systems could undercut design’s potential within organizations. I am grateful for Adaptive Path’s UX Week to provide me a platform to share my thoughts and experience with scaling design, in a talk titled “Design at Scale is People!” I hope you enjoy it, and I’d love to hear any feedback you have about it. Peter Merholz // Design At Scale is People! // UX Week 2018 from Adaptive Path on Vimeo. Author petermePosted on September 4, 2018 Categories levels, organization design, scale, teamsLeave a comment on Design at Scale is People!